My eighth novel for DAW Books! Two young individuals must uncover the dark secrets of their stratified city in this suspenseful sci-fi standalone. Danyl, raised by a scavenger, knows no home but the Middens. His day-to-day responsibility is to stay alive. His sole ambition is to escape from this subsistence existence and gain entrance to the City—so near and yet so far out of reach—in hopes of a better life. Almost immediately, both of them find themselves pursued by the First Officer’s Provosts, for reasons they cannot fathom—but which they must uncover if they are to survive. 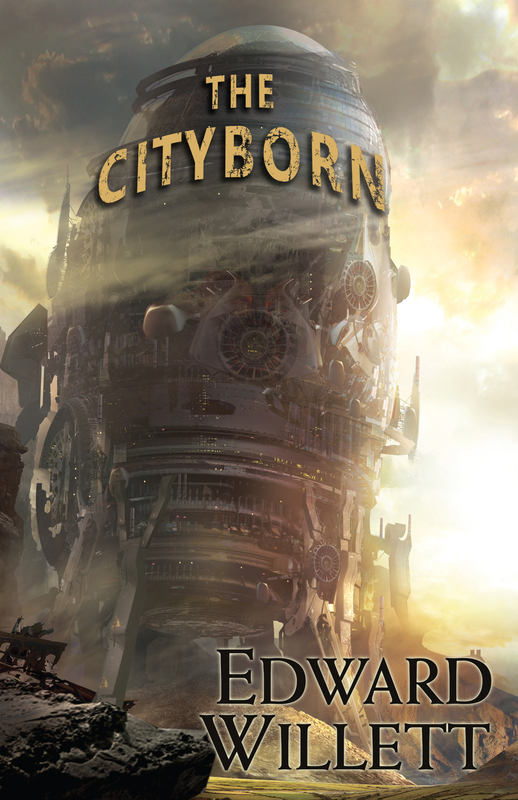 The secrets they unlock, as they flee the Canyon and crisscross the Heartland from the City’s farmlands to the mountains of the north and back again, will determine not only their fate, but the fate of the City…and everyone who lives there. The black-clad figure crept through the unlit corridor on Second Tier, silent and slippery as the sludge oozing from the corroded pipe running the ceiling’s length. The gunk from the pipe had very conveniently covered the lenses of the surveillance cameras at each end of the hallway, and this corridor was so unimportant in the grand scheme of the City that it would be days—possibly weeks or months—before anyone would even notice, much less come to clean them. At least, the corridor had been unimportant, Yvelle Forister thought. Now it was potentially the most important corridor in the whole reeking edifice that those who had set her on this path hoped to bring figuratively, if not literally, crashing down. Because three-quarters of the way along its length, a maintenance hatch opened into a no-longer-used elevator shaft that rose all the way to Twelfth Tier. Through her night-vision visor, the corridor glowed deep green, the blinking light of the obscured security camera at the far end flashing brightly every few seconds. Yvelle didn’t like the thought of that thing looking at her, grease-covered or not, so she hurried to the hatch and knelt beside it. The tool she pulled from her belt was as illegal as her night-vision equipment, if not quite as illegal as the beamer holstered at her hip. The worker who had “lost” it had done so knowing it would cost him his job, but like Yvelle herself, he no doubt had good reason to help the shadowy anti-City forces who called themselves the Free Citizens. Her own reason had returned to her two months ago, from the notorious prison on Tenth Tiern, as ashes in a small plastic urn. The cheap aluminum plaque embedded in its side bore a name, once as precious to her as her own: THOMAS DEVILLE. Yvelle’s hand tightened on the maintenance tool. Then she leaned forward and touched its tip to the first of the hatch’s access points. There was a sharp click, and a light on the tool’s handle flashed green. Eight clicks and eight green flashes later, she pushed at the bottom of the hatch. It sank into the wall a centimeter, then popped out, and she dug her fingers under the edge and swung it upward. The inside of the hatch had three metal ladder rungs built into it at thirty-centimeter intervals, a small segment of a ladder that she knew continued above and below the opening. She turned around and backed through the meter-wide portal, feeling with her feet for the rungs below the hatch. Once firmly on the ladder, she pulled the maintenance hatch closed. It clicked as it locked back into place. The square shaft, three meters on a side, glowed green, lit by the luminescent tubes called “eternals” because they were supposed to last forever. Like most things in the City, though, several of them were out of order, belying their nickname. Still, with the night-vision goggles, they provided more than enough illumination for Yvelle to see the intimidating climb ahead of her. They also showed her the old elevator doors, presumably sealed, on the opposite side of the shaft, and the rails on which an elevator car would ascend and descend. Those gleamed suspiciously brightly, which meant this “abandoned” shaft maybe wasn’t as abandoned as she’d been told. She just hoped whatever surreptitious purpose to which it was being put did not involve a car moving through it tonight, or she’d be a smear on the wall before she got anywhere near her destination. Presumably the shaft was being secretly used by the Free, not the Officers, and since her mission was theirs . . .
She took a deep breath and started climbing. The City’s First through Seventh Tiers were each fifteen meters in height. Eighth and Ninth were each twenty meters tall, as was Tenth, where Thomas had died in prison. Eleventh and Twelfth, home to the Officers, were a lofty twenty-five meters. And the crown of the City, Thirteenth, dwelling place of the Captain . . .
Fifteen meters of infrastructure in two levels separated the Tiers: pipes, conduits, service corridors. That meant well over three hundred meters to climb. Yvelle had to be at the top within twenty-five minutes. The shaft gave no hint of what lay beyond its closed doors on each Tier, but she could picture it well enough. At the very bottom of the City, below even First and Second Tiers, were the Bowels: four levels, some sixty meters tall, full of mysterious machines. Some functioned to provide power and water and other services to the rest of City, some were supposed to but had long since malfunctioned, and some served no purpose anyone could decipher. Only squatters lived in the Bowels, in dark corners and for dark purposes. Occasionally the Provosts would attempt to evict them. Sometimes they managed to arrest half a dozen people. Sometimes they came back empty-handed. Sometimes they didn’t come back at all. First and Second Tiers were crazy quilts of temporary structures made of any materials the denizens could obtain, dividing and subdividing what had once been a neat grid of orderly structures. Many of the original metal walls had been cut down, the pieces used elsewhere. The only remnants of the original neat, logical layout were the old street signs embedded in the corroded metal floors. Condensation from the ceilings dripped like rain into the dank, fetid streets, the ventilation systems overwhelmed by the sheer number of people crammed into spaces never intended to house so many. Fog, smoke from cooking fires, and strange vapors from the overworked and failing recycling plants—and the equally overworked but thriving illegal drug labs—drifted through the air, sometimes so thickly you couldn’t see your hand in front of your face and every breath burned. Like the ventilation, lighting was poor and erratic. Only the lucky or ruthless had reliable sources of power. In those dark, dangerous, deceiving streets, people went missing all the time. Sometimes they’d been robbed and murdered. Sometimes they’d been secretly arrested. Despite the mask he’d worn, the Provosts had identified him at a protest held after an overhead pipe had ruptured and sprayed a market courtyard with an acidic sludge that had killed twenty-three people and disfigured a hundred more. They’d seized him in the middle of the night, dragging him and Yvelle out of bed. He’d been imprisoned; she had not. Instead, they had torn up her precious Reproductive Right card before her eyes and explained with cold contempt that since her husband had been identified as a Level-Two Security Threat, her right of reproduction had been terminated—as would be the now-unauthorized child she carried. She remembered the horror of that conversation and the brutal drug-induced miscarriage that had followed. She remembered the doctor explaining to her, his face impassive, his eyes focused not on her but on a spot over her right shoulder, that the drugs had also sterilized her. Two weeks later she had been contacted by the Free: an “accidental” encounter with a woman who gave her name as Bertel, who claimed to have been a friend of Thomas’s. Bertel ran a First-Tier bar—“a nicer place than most,” she’d said—and she’d invited Yvelle to come have a drink and a friendly talk. One conversation had led to another, always in Bertel’s Bar, a small place in which Yvelle never saw another guest. Bertel had confided her hatred of the Officers, and Yvelle had responded in kind, grateful to have someone she could safely talk to. Maybe all that sympathy and support had only been bait to get her to bite the Free’s hook, but when Thomas’s ashes had been returned, Bertel had somehow known it, and she had been at Yvelle’s door within an hour. Do you want to make them pay for what they’ve done? she’d asked, and Yvelle had replied, Hell, yes. They’d gone to Bertel’s Bar. Bertel had produced a highly illegal commset, and Yvelle had found herself talking to someone named Prime. His voice had been digitally distorted and his image blacked out, and he had claimed to be the Commander of the Free. He had told her what the mission entailed, what she might have to do to make it succeed, and then gravely asked if she had the courage to carry out such a task. Yvelle had gripped the silver locket she now wore beneath her snug-fitting black top—a locket containing a hologram of Thomas as he had looked the day he asked her to marry him and two grams of the ashes that were all that remained of him—and sworn that she did. Two weeks later, Bertel had given her detailed instructions. Following them, she’d found the maintenance tool in a back alley on Second Tier, right where the “negligent” worker had “dropped” it two minutes before. She had retrieved the night vision goggles and beamer from a box buried in a rubbish heap on First Tier that hadn’t been disturbed in a decade. And tonight, at the appointed time, she had come to the sludge-slicked corridor and this ladder. She continued climbing. She’d passed two more sealed doors, so she had to be past Third and Fourth and ascending toward Fifth. In all three, she knew, conditions were better than in First and Second. Though still overcrowded, the streets were wider and cleaner, the structures less haphazard in location and construction. There were proper factories and residential blocks for those fortunate enough to have jobs in them. Sixth and Seventh were middle-class respectable, Seventh more so than Sixth. The managers of the factories lived there, and unlike in the levels occupied by their workers, they didn’t have to shove furniture in front of their doors every night in case some bloodlust-gripped flash-user made a midnight call. Yvelle had never been there, but she’d heard that on Eighth there were green spaces. A lucky few even had balconies and windows through the ancient metal skin of the City, providing views out over the rolling Heartland to the distant snowy peaks of the impassable Iron Ring. Accountants and lawyers and engineers and doctors lived there, and lived well . . . though not as well as those on Ninth, home of the wealthy. Yvelle could only dream of what that must be like. She could only dream of what Tenth must be like as well, but those dreams were nightmares, the nightmares that had haunted her night after night when she’d still held out some hope Thomas would return to her alive—nightmares that had only grown worse when that hope was so brutally and finally crushed. All the time he’d been held there she’d had no contact with him, no way to comfort him. No visitors were allowed on Tenth, at least not for a Level-Two Security Threat snatched from the lowest Tiers. Eleventh and Twelfth Tiers, home of the Officers, the City’s hereditary ruling class? They were unimaginable to Yvelle, yet it was to Twelfth that she was ascending. Or almost: her goal was another access hatch, this one in the service corridors beneath the Twelfth-Tier deck. From there, she would make her way to the hospital, her ultimate destination . . . provided a second Free operative known to Yvelle only as The Officer had done his job. If he hadn’t, this mission would come to a bloody end in—breathing hard, she looked up the ladder—about five minutes. She reached the access hatch. She glanced over her shoulder; there were the expected elevator doors. She looked up and found herself staring at the underside of an elevator car, perhaps thirty meters above her head. Stay where you are, she thought fervently as she drew her stolen maintenance tool from her belt once more and applied it to the hatch. Eight flashes, and she was able to swing the hatch out into the darkness beyond. The corridor into which she emerged wasn’t much different from the one where she’d entered the shaft. They were both part of the City’s under-street infrastructure. Robots and maintenance workers and Provosts (and on the wealthiest Tiers, servants, or so she’d heard) used them to move around more freely than the hoi polloi above, who were putatively forbidden to enter them. The biggest difference between this corridor and the one she’d started in was that this one was clean. It ran unimpeded in both directions. There had to be security cameras and possibly motion detectors in here, keeping a watchful eye, since up above her Officers and their families slept snug in their palatial quarters, but Yvelle had been assured no security systems would pose a threat to her this night. She hadn’t been told how such a feat had been accomplished, but she had no choice but to accept the claim. If it turned out to be a lie, she’d know soon enough. Yvelle consulted the map in her head and set off at a jog down the corridor to her right. It intersected another after twenty meters or so, and she turned right again, then left, then right one more time, finally stopping at a closed door with a lockplate to its right. She inserted the tip of the maintenance tool into the key port as she’d been instructed, and the door swung silently open, revealing a flight of metal stairs. She climbed those to another door with another lockplate. Another touch of the tool, and it, too, opened, sliding aside rather than swinging upward, to reveal a dark street. City lighting on all Tiers was synced with that of the natural world, and it was now 2630: half an hour past midnight. Across the street she could see a decorative light post, but the crystal globe that hung from it was dark, as her instructions had promised it would be. She stepped through the door. The floor felt odd; she looked down and saw that rather than being made of bare, pitted metal like those on First and Second Tiers, it was paved with white, overlapping, brick-shaped tiles. She raised her eyes and looked both ways. There was little to see: tall buildings with stone or brick facades surrounded by high walls; dark windows. She filled her lungs with the freshest air she had ever breathed, scented with something sweet and spicy and delightful, then consulted her mental map again and hurried a few meters to the right. As she’d been promised, she found a dark gap between two stone-covered buildings, barely wide enough to admit her. She slid through it into an ornamental garden, trellised pink blossoms overhanging white gravel paths, the air heady with the scent she had first detected upon emerging into the street, and then hurried down a longer and wider passage with closed, locked doors on either side. She finally emerged into a far larger garden space, this one filled with green shrubs, surrounding a building of white stone so brilliantly lit that her night-vision visor shut down completely, letting her see it with her own eyes. Stone pillars supported a portico from which hung ferns and trailing vines, ablaze with red and yellow flowers. Along the front of the portico, green-glowing letters spelled out TWELFTH TIER HOSPITAL. Through the glass doors below she saw movement—people in white coats, a few robots—but her intended entrance lay on the far side of the building. She closed her eyes, consulted the memorized map, and backed up ten paces to yet another maintenance hatch, this one in the surface of the street. It, too, opened at the touch of her stolen tool, and she climbed down a short ladder into another utility corridor. Presumably it connected at some point with the ones she’d been in when she’d first entered the Tier, but for whatever reason, it had been deemed safer for her to approach the hospital at street level. She pulled the overhead hatch closed, then headed along the corridor in the direction of the hospital. Her tool unlocked a doorway into the hospital’s sublevel in an out-of-the-way corner behind an air-filtering unit. Unlike the corridors, the hospital basement was brightly lit, but Yvelle had been assured that all surveillance cameras would be disabled here as well: The Officer’s work again. He was burning through all his access privileges tonight. But then, after tonight, as she understood it, he wouldn’t be an Officer any longer. That was probably just as well. Once the Provosts figured out who was behind the various outages and overrides, as they surely would, he’d be a dead Officer if they found him. Yvelle hurried past laundry facilities and a darkened kitchen to a particular stairwell in a particular corner. Up the stairs to the fourth floor. A quick peek through the door: dark—another “lighting failure”—but bright enough to her enhanced vision, which had adjusted again to the dimmer illumination. A dash along a deserted hallway. She used the maintenance tool to unlock a room. She slipped inside. Seven bassinets, a baby in each, long pale-green cocoons in her night vision. Yvelle’s breath came in short gasps now. Her heart thudded in her chest. She went to the first bassinet. It had a name written on a card tucked into a plastic sleeve: Danyl. The babies had names. She hadn’t considered the fact they might have names. The realization hit her like a blow to the stomach . . .
. . . no, a blow to the womb, the womb violated by the City, the womb scarred and burned and ruined by the chemicals that had slain her unborn child. “Danyl,” she whispered. She pulled a new device from her belt, a short metal tube. She pressed it to the sleeping baby’s hand. He stirred but didn’t wake. She pressed a button. A light flashed green. She took a deep breath, then lifted Danyl from the bassinet and slipped him into the harness on her chest. He whimpered a little but his eyes never opened, and after a moment he slept soundly once more. The unfamiliar weight made Yvelle feel strangely unbalanced as she moved to the next bassinet. A girl. Astril. She pressed the metal tube to the child’s hand. It flashed red, and she heaved a sigh of relief. The next child: another boy. Karril. Red. The fourth child: a girl. Stellina. Red. The fifth child: a girl. Mari. Yvelle whimpered. She looked at the sleeping child, at the downy hair on her head, her perfect, tiny hands curled into loose fists, her long eyelashes, her beautiful mouth, slightly open. Yvelle reached out a trembling hand. Forgive me, she whispered to God, or the universe, or Thomas, or no one at all . . . and then she covered the sleeping girl’s nose and mouth and pressed down hard. Mari struggled feebly, but she had no strength, none at all, and in a surprisingly short time she stopped struggling and turned blue, and then she was dead. Yvelle pulled back her hand. It shook. She clenched it into a fist, whispered, “There, there,” to the child sleeping between her breasts, though he hadn’t stirred, and moved on to the sixth bassinet. Another boy, Kevi. She reached out with the small metal cylinder. Please let it flash red, she whispered to whomever she had asked for forgiveness, and He or She or It must have heard her, because flash red it did when she touched it to the boy’s hand. The final bassinet. She moved to it, looked down into it. Alania, said the card at the foot of the bassinet, a girl’s name . . .
. . . but the bassinet was empty. Yvelle stared at it. She had no orders covering this eventuality. She’d been told there would be seven babies; that she should take the first one for whom the strange little device flashed green; that any for whom it flashed red could be left undisturbed; that if it flashed green for any besides the first baby she took, that baby had to be eliminated. But if a baby were missing . . . ? Yvelle looked around wildly. She must be ill, she thought. They took her somewhere else . . .
Could she find . . . ? Even as she thought that, the lights flashed back on in the hallway outside. She had already waited too long. She had to move now. She ran to the door, looked both ways down the deserted hallway, and dashed to the still-darkened stairwell. She clattered back down to the basement, holding onto the railing, her balance still thrown off by the weight of little Danyl on her chest. Through the basement, back into the utility corridor, up the ladder, down the wide alley, through the garden, back down the narrow alley, running as fast as she could now, expecting at any moment to hear a hue and cry, alarms, shouts, to see Provosts or robots bursting into the streets to search for her . . . but all remained quiet. Down into the service tunnel. Back to the maintenance hatch . . . and there she pulled up short, heart racing, because someone was waiting for her: a man, dark-skinned, dressed in black. Someone was supposed to be waiting for her, but was this really . . . ? “Good work,” he said, unsmiling. “You’re The Officer?” she said, though obviously he was, or she’d already be under arrest. “But what have we done?” What have I done? The baby boy on her chest stirred and whimpered, and she put a hand on his back to calm him. “But what does he need to know? What will he be prepared to do?” Why have I done what I have done this night? That was the real question, but she left it unspoken, knowing no answer would be forthcoming. “When?” Her throat closed on the word. The thought of being honored for what she had just done repelled her. An alarm echoed through the streets, an angry ringing attenuated by distance. Reluctantly, Yvelle slipped out of the harness and handed Danyl over to The Officer. The boy whimpered a little, but he quieted again as The Officer settled the harness in place. Yvelle turned and touched her maintenance tool to the lockplate by the door. The door slid open, and she hurried down the stairs beyond to the service tunnels and along them to the hatch into the old elevator shaft, The Officer a few steps behind. She squeezed through the hatch and began her descent. The Officer climbed onto the ladder above her, and a tool the twin of the one Yvelle carried flashed eight times as he sealed the hatch behind them. Together they descended into the depths of the City . . . but neither of them would stop in the Second Tier, or the First, or even the Bowels. Their destinations were far, far lower than that. Twenty years, Yvelle thought. Will I even remember Thomas in twenty years? The lump of the silver locket hung between her breasts so that she felt it anew against her skin with each beat of her heart. Yes, she thought fiercely. I will. As I will remember what I have done to avenge him. She could still feel the little girl’s warm lips and nose beneath her tightening hand. She knew she always would. The ladder led down, down, down into endless darkness. Panting hard, Alania Beruthi peeked through the barely open door of the servants’ staircase and watched the humanoid robot that was supposed to be keeping an eye on her stride past with its peculiar too-careful gait. A moment later she heard a series of thumps. She let out her held breath in a rush and promptly burst into giggles, echoed by Sandi Praterus and Lissa Smilkoni, her best friends, who were crowded onto the off-limits landing with her. Both the same height, both skinny, Sandi pale-skinned, Lissa dark-skinned, they looked like matching chess pieces from opposite sides of the board. “How did you do that?” Lissa whispered breathlessly. “Disabled some sensors,” Alania said, trying not to sound proud of herself but failing miserably. “Pulled some wires. Lieutenant Beruthi told me I should learn as much as I could about robots since it’s the family business. So I did.” She rubbed the backs of her knuckles. She’d scraped them badly on the sharp edge of the watchbot’s skull hatch when it had moved unexpectedly and she’d jerked her hand back. But she’d washed away the blood, and the skin was already closed; she’d always healed quickly. “You’re terrible,” Sandi said, but now she sounded less shocked and more impressed. Strictly speaking, they weren’t supposed to go anywhere. Which was the whole point of this exercise. They were supposed to stay right there in Quarters Beruthi and have a tea party or something. They weren’t even allowed to go out into the safe, pristine white streets of Twelfth Tier, although at least Lissa and Sandi weren’t completely forbidden from doing so, like Alania. They definitely weren’t supposed to go to another Tier altogether, but that was precisely what Alania had in mind. Had there been an actual human in Quarters Beruthi to chaperone them, escape would have been far more difficult. But the only human employed in the house of Lieutenant Beruthi was Sala, Alania’s private servant, and she was away on one of her four-times-a-year visits with her parents. They lived in Agricultural Compound 27, a hundred kilometers east of the City—a farm that was, oddly enough, owned by Sandi’s mother, Lieutenant Commander Varia Praterus—and Sala would be there for another two days. Alania had sneaked out even on Sala once or twice, using the stairs they were on now to get into the service tunnels beneath the streets and then climbing up into a public building, but before now she’d always limited her adventures to Twelfth Tier. Since she was under constant surveillance whenever she was in the streets, like everyone else, she was perfectly safe, and her guardian’s reprimands had been mild, the loss of vid privileges and lack of dessert for a week well worth the break from the mundane. She’d broached the idea of a real adventure today with Lissa and Sandi at her twelfth birthday party a week before, a dreary affair to which all Officers’ daughters within two years of her age had, by custom, been invited. As usual, Lissa and Sandi had sat with her at the head table, and that had given them time to scheme. Alania had invited them over today with her guardian’s permission, knowing that Sala would be away and babysitting would be a robot-only affair. Now the watchbot was disabled and they were free, as she had never been before in all her twelve years, and she knew a secret she didn’t think her guardian knew she knew: he had a private elevator. A noise had awakened her one night, and she’d peeked through her door just in time to see him enter the utility room a few meters down the hall from her . . . and not come out again. Since the room where the cleaning robot switched attachments and stored itself for charging was only about three meters on a side, that was, to say the least, peculiar. After twenty minutes, she’d gathered enough courage to go and knock in case the Lieutenant had had a heart attack or something, but there’d been no answer. Then she’d tried the door. Although it was normally locked, it had opened to reveal a utility room that looked the same as always, with no sign of the Lieutenant. Puzzled, she’d gone back to bed. In the morning, the Lieutenant was back, and the door was locked. Not that that had stopped her investigating. She’d simply waited by the room one morning until the cleaning ’bot came out, then grabbed the door so it couldn’t close and lock. A quick examination of the walls had revealed the room’s secret: a standard elevator control pad behind a sliding panel. It needed a key, of course, but Alania happened to know where the Lieutenant kept a copy of his. She probably wasn’t supposed to know that either, but you couldn’t spend the bulk of your life confined to a house, however spacious, without exploring every nook and cranny, and Sala didn’t watch her nearly as closely as the watchbot did. The Lieutenant didn’t even keep the spare key locked up; it was in an open drawer in his desk, and he was equally careless about locking his office door. The key, a golden rod about ten centimeters long and a centimeter in diameter, was already in Alania’s pocket. It would open the utility room door and let them use the elevator. And from there . . .
“I’ve never been lower than Eleventh,” Sandi admitted. “Won’t it be dangerous?” Sandi asked, though she sounded a little ashamed for doing so. Alania laughed at her. “Not serious,” she said, although deep inside she wondered very much what the Bowels looked like. Or First and Second, or Third, or Fourth. Sometimes even The Middens sounded intriguing. Anywhere but Twelfth. Her friends had not only been allowed to travel to other Tiers—high-level ones, at least—they’d even been allowed to leave the City. Their parents had Estates in the farmlands of the Homeland and Retreats in more scenic locations, and they visited them often, as well as the Resorts that catered to Officers and their families. Lieutenant Beruthi also had an Estate not far from the City and a Retreat way up in the northern foothills of the Iron Ring, but he’d made it clear Alania wasn’t allowed to go to either, though he’d never told her why. He’ll kill me after today, she thought, but even that thought held little dread. He couldn’t literally kill her. The usual loss of privileges, even for an extended time, would be worth it, and what other punishments could he come up with? Lock her in her room, she supposed, but that wouldn’t be noticeably different from her regular life. They crowded in. Alania let the door close behind them. Lights came on automatically, an antiseptic white illumination from glowtubes in the ceiling. It made Sandi look even paler than usual. At least, she thought it was the lighting. “Seventh Tier, here we come,” Alania said, but her own heart raced a little as she pushed the key into the control port and a touchscreen lit up. She blinked at it. It only showed three numerals: twelve, where they were, five, and, astonishingly, one. “It only goes to Fifth and First?” Sandi said. “The Lieutenant’s robot factory is on Fifth,” Alania said slowly. “I don’t know,” Alania admitted. “Please don’t press that one!” Sandi said. “I won’t,” Alania said. But just for a moment, she was sorely tempted. “Seven Tiers down,” Alania said. “Talk about an adventure!” Refusing to give in to her own sudden fluttering attack of internal butterflies, she pressed five. “Uh-huh,” Sandi said, but she sounded uncertain. Alania felt more than a little uncertain, too, now that they’d actually done what she’d been planning for weeks, but she tried to push the feeling aside. Lieutenant Beruthi had no right to keep her locked up in his Quarters, not when her friends were allowed to travel. She wasn’t a little girl anymore; she was twelve years old, and however angry he might be after today, he’d have to admit that much, at least. The descent was shorter than she would have thought, the elevator clearly a fast one. It stopped after only half a minute or so, as abruptly as it had begun to sink, and Alania staggered a little as her weight momentarily seemed to double. Sandi grabbed Lissa’s hand. Lissa let her. The door opened, revealing an utterly ordinary corridor paneled in the City’s default white plastic wall covering. The three girls stepped out. The door closed behind them, and they heard the car ascend. “Will it come back?” Lissa said anxiously, Sandi still hanging onto her. “Once I put in the key,” Alania said, hoping she was telling the truth. She looked left. The corridor stretched unimpeded about twenty meters before ending in a closed door. She looked right. Different direction, same view. “Sorry,” Sandi said, and she released Lissa’s hand. Lissa rubbed it. “What if the door’s locked?” Sandi said. For an answer, Alania held up her key. But the door wasn’t locked, and when they passed through it, they found themselves in long, narrow room with a door to their left, another to their right, and a glass wall across from them. Alania went to it and looked down. 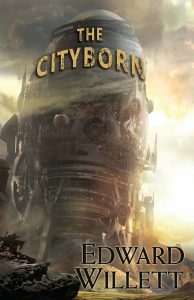 “Wow,” said Lissa, which is what Alania would have said if she weren’t so busy staring at the mesmerizing scene: Beruthi’s primary robot manufactory, she supposed. The space below them, easily twice the size of Quarters Beruthi itself, was filled with robots in the process of building other robots. But every one of them was frozen in place, unfinished robots waiting on motionless conveyors for other robots to continue assembling them. The factory was manufacturing nothing at the moment. It might have stopped a minute ago or ten years ago; there was no way to tell. “That’s . . . weird,” Sandi said. “Maybe it’s break time,” Alania said, because she felt like she ought to say something, and “wow” and “weird” were already taken. Although she felt silly the moment she said it, because why would robots need to take a break? She looked at the two doors out of the otherwise empty room and decided to go left, since they’d gone right the last time. It proved to be an auspicious choice; the door led to a flight of stairs that took them down to the level of the factory floor. A featureless door to their right presumably led onto that floor. A light above the door burned red. But a few meters farther, at the end of the corridor, was a second door, and above it was the single word Alania most wanted to see: EXIT. “At last,” she said, and she pushed at the panic bar. The door swung open, and she hurried out into Fifth Tier proper. “—that smell?” Sandi finished for her. It was sour and kind of salty: definitely organic. “Maybe we’ve gone far enough?” Sandi said meekly. “We haven’t seen anything yet,” Alania retorted firmly—at least, as firmly as she could with her heart racing. To their left, the alley ended in a wall, in the middle of which a single narrow window glared blankly down at them, nothing visible beyond its dirty panes. She turned right again and headed resolutely to the other end of the alley. It opened into a square courtyard. To their right was the blank front of the robot factory, broken only by two large doors, one marked DELIVERIES, one that simply said STAND CLEAR WHEN LIGHT IS FLASHING. The Beruthi name did not appear; there was nothing at all to reveal who the building belonged to. To their left was a very similar factory, though the exits were smaller and completely unlabeled. There was no way to tell what it manufactured. Alania’s aimless thoughts suddenly stilled as she realized there were also people in the square now, people who had just emerged from one of the windowed buildings, and that those people were looking at them . . . and coming their way. Not just people, but young men. There were six of them, shabbily dressed in shades of gray and black, and they moved en masse. “What?” said a voice behind them, and all three of them yipped and spun to see another young man behind them. A boy, really, Alania thought, taking in his smooth face and piercing gray eyes. He was maybe four or five years older than they were, but that didn’t make her feel any better, because there was something in that face that terrified her—something hard and predatory, something she had never seen before. Not that she’d seen a lot of boys before, since no boy had ever been invited to one of her birthday parties, obviously. She’d met some of the other girls’ brothers, though, including Lissa’s grifterball-playing one, at the occasional function the Lieutenant had hosted, and none of them had had the . . . edge this boy did. “Twelve,” Sandi said, while Alania was still trying to decide if it was a good idea to answer that question or not. “For what?” Lissa asked, saving Alania the trouble. She was having difficulty forming any words, to tell the truth. Breathing was a lot harder than it should have been, too. “My guardian is—” Alania began, finding her voice at last, but the boy cut her off. His eyes rolled up in his head, and he crumpled to the ground, twitching, a puddle of urine forming beneath him. Alania gaped at him, then jerked her head up to see the watchbot she’d thought she’d disabled in Quarters Beruthi standing just outside the door through which they’d exited the factory, its right hand raised, palm out. “Please step aside, ladies,” its mechanical voice said, and then it strode past her as she, Lissa, and Sandi pressed themselves against the wall. Alania saw the rest of the gang turning to run, but of course that was useless against a robot. Four flashes of light, and they’d all joined their leader, stunned on the metal ground. The watchbot’s head rotated a full 180 degrees; its sensors were clearly no longer disabled. If anyone else was watching from the surrounding windows, they wisely chose to remain hidden. A small part of Alania wanted to say, “You can’t make me,” which might have been technically true—the watchbot could not stun her as it had the unfortunate Fifth Tier boy, nor could it manhandle her and haul her to the elevator. But it was a distinction without a difference, since the watchbot could call for Provosts. And in any event, after what she had just witnessed, she wanted nothing so much as to return to the security of the home she no longer saw as quite the prison she had thought it. They rode the elevator up in silence. The watchbot had nothing to say, Lissa and Sandi were subdued, and Alania’s mind kept circling around one thing: what would Lieutenant Beruthi say . . . and do? “Will you . . . tell our parents?” Sandi asked in a small voice. “Tell them what?” the Lieutenant said evenly. Lissa and Sandi’s eyes widened, they glanced at each other, and then they dashed away like the tiny street-cleaning bots that kept Twelfth Tier sparkling and which Fifth Tier had so obviously lacked. The Lieutenant watched them disappear around the corner of the upstairs hallway, heading for the same stairs the watchbot had tumbled down earlier, and then turned back to Alania. The Lieutenant just looked at her, his dark eyes steady, his thin brown face unreadable. “What did you learn?” he asked. Alania opened her mouth to say, “What?” again, then closed it. “Give me back my spare key,” the Lieutenant said. “You have had your adventure. I will not allow it again.” Alania drew the golden rod from her pocket and held it out. The Lieutenant slipped it into his own pocket. “Now,” he said briskly, “I believe you will find food waiting for you below.” And then he turned and walked away, leaving Alania staring after him. She descended to the main floor and sat in the relatively small kitchen, rather than the cavernous dining room, for a meal which, to her surprise, consisted of some of her favorite foods: mashed redroots, candied vatham, even a hollowed-out frozen bluemelon. She felt like she was being rewarded more than punished, but that made no sense. No less sense than the robot she had been so certain she had disabled suddenly appearing in the alley on Fifth Tier to rescue them. She scooped up a spoonful of melon, then stopped it halfway to her mouth, suddenly realizing the truth. I will not allow it again, he had said. Again. That means he did allow it this time. I didn’t disable the watchbot at all, she thought. It probably plugged those wires back in again itself the second I was out of sight. Lieutenant Beruthi programmed it to let us go. He made sure I knew about the elevator and the spare key. He wanted me to get out of Twelfth Tier. She wouldn’t have one, it turned out, for many years. The trashslide struck without warning. They didn’t always. Sometimes there was a preliminary tremor, a sign you should look for something more stable to stand on, if you could find one; “stable” and “The Middens” were words that didn’t have much to do with each other. Until today, Danyl had only ever been in The Middens in the company of his guardian, Erl, but he’d learned that much. Erl seemed to have a sixth sense for how the trash would move, and half a dozen times he had hurried them to some safer spot just before a sinkhole had opened or a slide had come roaring down one of the valleys that provided more-or-less reliable paths through the mounds of trash. But today Danyl was on his own, having rebelliously sneaked out to follow Erl to the forbidden Last Chance Market, just to get a glimpse of it, and though Erl was in sight, he wasn’t listening for trashslides; he was engaged in intense, secretive conversation with someone wearing a black synthileather coat and dark glasses. Hearing the rumble above him as the trash began to move, Danyl scrambled up and dashed through the scraggly stand of tangleweed he’d been hiding behind, hoping to reach the Last Chance Market’s platform, secure on its massive iron beams anchored to the Canyon wall. But the slide caught him before he’d covered a quarter of the distance, sucking him down from behind. He did as Erl had taught him, rolling up into a tight ball to protect his most vulnerable organs, eyes squeezed shut behind his goggles, but he felt an agonizing burning pain as something slashed his left leg open and another as something stabbed him in the side while he tumbled helplessly in the welter of plastic and paper and wood and metal and nameless gunk. Then everything was still and dark. Danyl couldn’t tell how deeply he was buried, couldn’t see any light even when he dared to open his eyes, couldn’t move, could hardly breathe, the pressure was so great . . . and he knew he was bleeding. He pushed as hard as he could against the confining trash, but it didn’t budge, and the cold realization crashed in on him that he could die here, suffocate or bleed to death; that no one would ever find him; that no one even knew he was here. He’d just turned twelve years old, and he was going to die . . .
He’d never really thought of that as a possibility before. He could die. He tried to scream for help, but he didn’t have the air or the space. He could only remain there, curled tight in the darkness, trapped, helpless. Then the trash moved around him. The pressure eased. The light turned from black to gray, and he glimpsed sky through cracks in the rubbish. And then the trash was suddenly swept aside, and the blue sky appeared, and a lined brown face looked down at him, whisps of grey hair peeking out beneath a synthileather cap. “Help,” Danyl said weakly, but of course Erl was already reaching down to him. There was someone else with him, the man in the dark coat and glasses, and that was weird, Danyl thought, though the thought was rather fuzzy. Erl had always said that no one from the Last Chance Market would ever step off the platform and into The Middens, and yet . . . He drifted into unconsciousness, half woke in a daze as he was hauled out of the hole and pain stabbed his leg and side, drifted off again, had a transient moment of awareness of being slung over Erl’s shoulders and carried through The Middens, and then another of Erl lugging him down the tunnel leading to their hidden home in the Canyon wall. Erl laid him on the dining table—We’ll have to disinfect it, Danyl thought fitfully—and fetched the old docbot he’d scavenged years before. A sphere about twenty centimeters in diameter skittered across the reddish stone floor on three spindly metal legs. A glowing blue scanner orb extended on a flexible stalk and turned to Erl. “Please select a function,” the docbot said in a light female voice. Erl hurriedly and roughly stripped Danyl to allow the docbot to get at his wounds. The pain brought Danyl more fully awake, and he tried to help as best he could, gasping as he saw how much blood covered his pants and shirt, then going pale when he saw the hole in his side. He shouldn’t be able to see inside himself like that . . . But shouldn’t there be even more blood? he thought. Because it looked to him like the wounds were already starting to close, and even though his ordinary scrapes and cuts had always healed quickly, that couldn’t be right, not so soon . . .
Something hissed against his arm, and the world faded out again. He woke in his own bed down the hall from the living/dining room, clean and naked and bandaged beneath the blankets. He stared up at the familiar stone ceiling for a moment, blinking, trying to make sense of the scattered jumble of disconnected memories since the rumble of the slide had startled him. “How do you feel?” Erl said from his right, and he turned his head to see his guardian sitting there, finger marking his place in the old water-stained book he was reading, another bit of salvage from The Middens. Danyl touched the bandage on his side, expecting to feel a twinge, but he felt nothing. In fact, it felt as if there were no wound there at all, but it had only been a day, how could . . .
Erl reached out and touched his arm. “Don’t play with the bandages,” he said. “I don’t feel anything,” Danyl said. Danyl opened his mouth, couldn’t think of anything to say, and closed it again. “You’ll never let me go out there on my own,” Danyl said, a little frightened by Erl’s intensity, which made him sound more petulant than he’d intended. Erl went out, and Danyl swung his legs over the side of the bed. Despite what Erl had said, he touched the bandage on his side, then the one on his leg. He felt nothing. He hesitated, then peeled back the edge of the adhesive holding the round patch of synthiskin on his flank. Underneath it, his real skin was as smooth and unbroken as its artificial covering, only a shiny pink mark showing where he’d been impaled. He stared, then hastily pushed the synthiskin back into place. He didn’t disturb the leg bandage, but he was certain he’d find the same thing under it. He hadn’t imagined being injured. He hadn’t dreamed it. The pain and blood had been real. But somehow, the wounds had healed . . . in a day. If it’s really been only a day, he thought. Maybe I’ve been out a lot longer and Erl didn’t want to worry me. That was easy enough to check. His scavenged watch lay on his bedside table. It confirmed what Erl had first said; it had been a little more than twenty-seven hours since the trashslide had rumbled down on his head. Weird, he thought. Maybe the docbot sealed the hole in my skin, but I’m still healing underneath? For a second he thought he’d figured it out, but then he frowned. But if the skin is sealed up, why do I need a bandage? There was no way to ask the ancient docbot, whose AI could not respond to those sorts of questions, and he wasn’t sure Erl would know—he certainly wasn’t a doctor. But Danyl still intended to ask him . . .
. . . except it went out of his head when, dressed but still barefoot on the cool stone floor, he followed the mouth-watering scent of cooking meat down the hallway to the living/dining room, and Erl opened a door across from the hallway that he’d never seen open before. Erl had always said he kept the door locked because the room on the other side had collapsed and was filled with rubble, but nothing could have been further from the truth. In fact, it was the largest room in their carved-from-the-Canyon-wall hideaway. In the middle stood a circular dais maybe half a meter high. Hanging from the ceiling was a helmet that would completely cover Danyl’s head if he put it on. “What is it?” he asked in wonder. “A reality simulator,” Erl said. “Wow,” Danyl said, because it seemed like he should say something. “Got it,” Danyl said meekly. Maybe getting buried in a trashslide isn’t so bad after all, Danyl thought as he took his first succulent bite of steak a few minutes later. If it means eating like this, I’ll have to try to get buried at least once a month. He stared at the door to the training room as he ate, anxious to get started on learning everything it could teach him. I will get into the City someday, he thought fiercely. Someday. Anything that brought that day closer, he was all for. He took another bite of steak and bit down fiercely.